Meals: Japanese style breakfast included. Kaiseki ryori available upon request at additional charge. Part 6. Where to Stay in Takayama: Takayama Hotel Review ? Ryokan Asunaro is a high-end traditional Japanse ryokan in Hida Takayama. 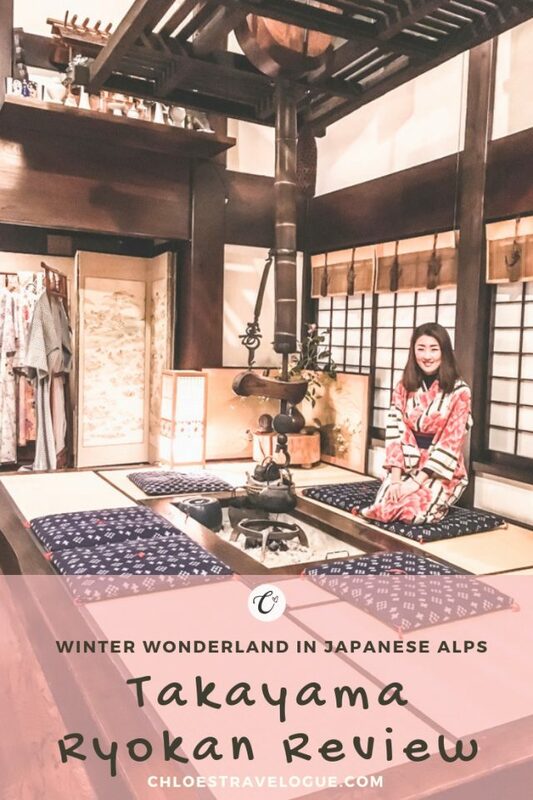 This cozy yet luxury hotel is perfect for travelers to the Japanese Alps -- also known as the Hida Mountains -- to relax and recharge while experiencing Japanese hospitality at its perfection. Its state-of-art kaiseki ryori menu includes famous Takayama food such as Hida beef, Ikemori-namasu and hoda miso. It is conveniently located 5-min walk away from Takayama bus terminal and within walking distance to the morning market, Old Town and Takayama Jinya. More importantly for us, Ryokan Asunaro is in Takayama, the city only one hour away from Shirakawago. Regardless, I immediately fell in love with this Takayama ryokan the moment I walked into the sliding entrance doors. The exposed beams and logs across the high ceiling, an open fireplace and rocking chairs create the cozy atmosphere. It feels like a high-end cabin in the mountain, Japanese style. I particularly liked the open fireplace, called irori (photo above). Traditionally, its purpose is to heat the room and cook. It works as a nice nook to drink tea or coffee in yukata by the warm fireplace, sitting on the floor cushion. The lobby was decorated with Hana mochi (flower rice; photo above) at the time we visited. It is Takayama’s unique winter tradition that dates back centuries. Because there are not many flowers in winter in Takayama, locals started decorated their house with Hana mochi representing the white colors of the season. The hallway was full of various decor items. From a massive bronze dragon head statue to traditional masks to fans to wooden dogs, I wanted to bring all of them home to recreate this space. It also was a telltale sign of how this Takayama hotel pays attention to every nook and crannies. Most ryokan in Japan provides yukata for their guests. What separates Ryokan Asunaro is that they offer various designs and sizes of yukata for guests to choose. If you like it, you can purchase a new yukata, as well as other hand-made Kawai ("cute" in Japanese) souvenirs at the mini shop near the check-in counter. In the room, you will see a cheat sheet, graphically explaining how to wear yukata properly. I found it handy. But if you have questions, you can always ask the host. If you're interested in renting a kimono for a day, read this guide. Although this Takayama ryokan offers the western-style bed, we opted with the Japanese-style tatami room and futon beds. If you have any concerns about being uncomfortable sleeping on “futon,” I can assure you that this Japanese mattress is different from futons back home and that it is plush and comfortable. READ MORE | Don't get "flushed." Learn how to use a Japanese toilet properly. The highlight of my stay at Ryokan Asunaro was its kaiseki ryori. I was already impressed by the Kaiseki dinner at my Kanazawa ryokan. I didn’t expect to be wowed again with another meal in the same week! Our host escorted us to the private dining room for Kaiseki ryori. The room was cozy and tastefully decorated to reflect regional cultural heritage such as Japanese farmhouse — gassho, as well as painted fusuma (paneled sliding doors). Oh, how cute our Kaiseki plates were presented! Opening the thatched gassho roof cover was a bowl of delicious side dish. Scallop salad was in the red plum flower bowl, sashimi on a boat-shaped plate with flower decorations, appetizers on a yellow flower bowl, etc. If you appreciate pottery like me, you will want to buy all of their dishes. What to eat in Takayama? Without a doubt, you have to have Hida beef ("hidagyu") when visiting the region of Hida Takayama, Japan. This Takayama signature food is well-known in Japan as the top quality lean beef. As anticipated, our dinner featured this famous local specialty food as the main course. Delicious? YES! Although lean and buttery don't go hand in hand when it comes to meat, hida beef was lean yet buttery. If you don't believe me, I suggest you try it yourself. Another Takayama food featured in our dinner menu was Ikemori-namasu. It is a variety of vegetable and jelly with tofu paste to be mixed before eating. It was something I never had or seen in Japanese restaurants. It was tasty, but I enjoyed even more because it was very different from what I was used to. Hoda miso is also famous Takayama delicacy. Ryokan Asunaro served hoda miso as breakfast. Although I’m familiar with Japanese miso, I didn’t recognize it as such because it was presented in the entirely different way I’ve never seen; miso mixture was wrapped in a huge leaf on top of a mini table stove. I appreciated that the ryokan had an explanation sheet in English on how to eat this local delicacy without burning it. I loved my stay at Ryokan Asunaro. Although I didn’t stay at other Takayama ryokans, I’m confident to say Ryokan Asunaro is one of the best ryokans in Takayama if not the best. Check the Ryokan Asunaro availability and rates here. If it is not available for your dates, consider other similar ryokans: Oyado Koto no Yume, Sumiyoshi Ryokan Takayama, Takumi no Yado Miyamaouan. I wish I had planned to stay longer in Takayama. 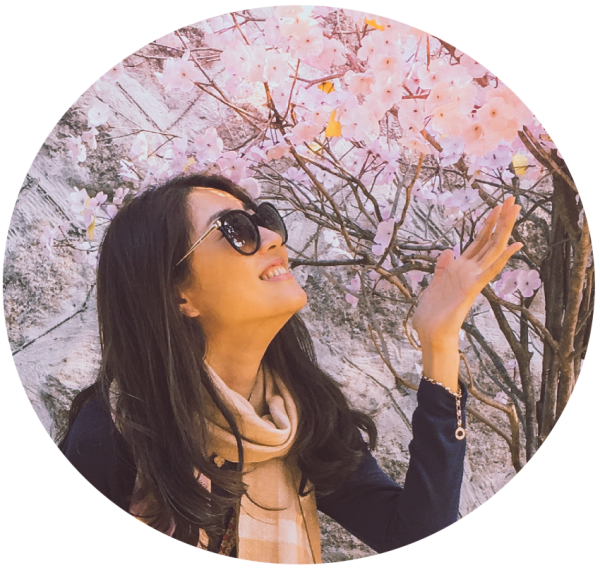 Not only I enjoyed relaxed, comfortable accommodation at Ryokan Asunaro, but Hida Takayama also offers many exciting things to do, including visits to old town, Takayama Jinya, Shinhotaka hot spring and Funasaka sake brewery. Also, Takayama festivals - Sannon Matsuri and Hachiman Matsuri - are both registered UNESCO Intangible Cultural Heritage. These are on my bucket list for next time in Takayama!